Now that you’ve run for a little bit with Android 4.4, I’m curious: how has this been working for you? Is CM11 feeling relatively stable on the Razr? The RazrBlade zip file you reference appears to be for Windows only, yet you indicate in Step 9.1 that “If you are on Linux, execute RootLinux.sh.” There is no such shell script in the given zip file. Am I missing something, or is there a specific zip for RazrBlade that’s available for Linux/Mac that you aren’t correctly referencing? Sorry about that Rich! I have updated step 4 of the article to include downloads for Mac and Linux users. I kept getting a superuser error until I did a factory data reset & started all over. 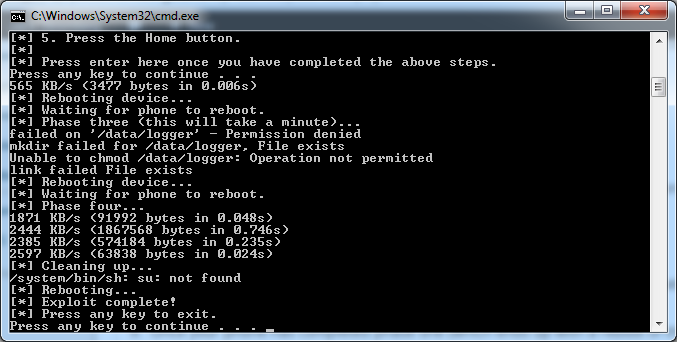 Then it seemed to be stuck at “cleaning up…” Turns out I needed to LOOK at my phone & grant permission for superuser. I hope this helps anyone with troubles because this is AWESOME! Thanks for the tutorial! I have switched CM 11 ROMs a couple times in recent weeks and all of a sudden my XT912 started to fail to connect via WiFi. I went through the entire process you outlined above, rerooted and flashed CM 11-20140104-SNAPSHOT-M2-spyder. I installed the CM11_WiFiAP.zip, wiped Davik and cache numerous times, turned Airplane mode and WiFi on and off, rebooted. Can’t figure out how to get WiFi working again. It tries to connect, but fails over and over. The WiFi problem exists on the stock ROM in addition to both of the CM 11 ROMs I have installed. Any clues? I think it was actually a problem w/ the wifi router. Once i power cycled the router i was able to connect. I tried that yesterday and it didn’t work – today it did! Sorry to raise a false alarm. Your tutorial was really helpful for a relative noob like me! The link for the X64 motorola drivers isn’t working. Is there another place to get the drivers? 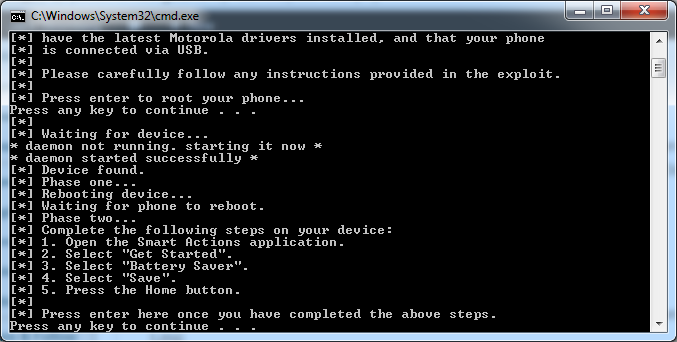 I thought I found drivers but I’m unable to get the superuser.apk file to install properly. I keep getting the errors you have in the pictures above. Any suggestions? Sorry for the slow reply. I have updated the link for the 64-bit version. Ooops. I think mine is not CDMA but i already done everything posted above and now I don’t have a signal. I switched back to the stock by activating the stock. Is there a version of cm11 for gsm type motorola razr maxx xt910? and if there is, can do the same procedure stated above? I believe this is the version you need for the GSM version. Downloading. 🙂 I just want to ask how i can install this one where do i start? am i going to erase the partition that i made for the custom rom? Once you have SafeStrap installed, select ROM Slot-1 and install the ROM to that. I highly recommend you keep the stock ROM installed on your phone so you can always fail back to it. The tutorial should guide you through how to do this step-by-step. Yes, you can overwrite slot-1 that has the CDMA version. Thank you Jack. This is sweet! 🙂 My signal finally worked. I think my phone works faster and it’s more snappier than before. I got an error message while installing gapps but when i rebooted my phone gapps are there. (Play Store, Music etc.) I’m still observing for bugs. I got an error message while downloading some apps at Google Play. I also receive an error when installing the gApps package with SafeStrap, however, when I boot back into Cyanogenmod, the playstore does appear. Glad to hear you got it going, enjoy CM! Hi Jack. 🙂 One thing I noticed. Why is that the signal bar won’t change its color when I connect my phone to wifi or 3g? In my previous rom the signal icon color will change its color whenever I’m connected to the internet. I find that feature useful. I am thinking this might be enabled i just don’t where. Are you able to use adb to connect to the phone after installing Cynaogenmod? With the phone connected over USB, adb does not see it. Developer mode is enabled and I can connect over Wi-Fi, but USB would be faster. First of all, THANK YOU! I must have tried at least a dozen different websites and dozen more videos but nothing would work! This is truly a step by step instruction guide. Most other sites tell you something has to be done with not links to get the required software or how to install it. If I had more than two thumbs, you would get them all up! Thanks again. Hi, your guide seems great but I have a problem. Whenever I click boot options and slot 1 the create slot button is inactivaed. I cannot push it. I noticed that it also says free space 0. Does this mean I dont have enough spage for a slot? Correct, you will need to ensure you have enough space on your internal storage to create a new slot. For step 27, the one where you chose 3GB. This is the amount of space in the partition for Cyanogenmod operating system and associated apps. If you plan to only use the one slot, I would set it to 3gb. If you were using multiple additional ROM slots and space was an issue you might want to lower that. Essentially, for most users what you recommended is the right call. Thanks Tesla, I have updated the tutorial to define our what that is. :=) personally my feelings about this page is definitely thrilling since CyanogenMod has been one of the best custom ROM for Android users. Thank you so much! Am trying this now in hopes that it works, as 4.1.2 with talkback was a nightmare. I’m using the stable release released sometime in mid September – will this have 4.4.4? Or still 4.4.2? I do wish that safestrap had some sort of text to speech for visually impaired users, though, as switching between roms will probably be impossible and I will have to stick with what I have. You can get to 4.4.4 on the CyangenMod 11 build. I have one question, can this be done via BMM instead of SS? Would there be problems with that? Or maybe another procedure? This should work via BMM instead of SafeStrap, but the steps on how to achieve this are outside the scope of this tutorial. Thank you! I have uninstalled BMM since apparently it is discontinued and doesn’t support modern ROMS, and now I have installed SafeStrap. -Once everything is done, do I still have root access? Does CM 11 come with root? Do I have to root it afterwards? -Is there anything in particular I should know / do regarding kernels? You will still have root access once you are done flashing to CM 11; you will not have to reroot your phone afterwards. It absolutely does help. You cleared everything up for me. I’ll give it a try later today, and I’ll let you know how it goes. Just completed the process: Absolute success! Thank you very, very much! Am I missing something? when I got to Apps->Files->SD card->Safestrap-Spyder-3.65.apk, theres nothing in there about a package installer, what would cause that? Did you copy Safestrap over to your phone? Also, I upgraded the tutorial to include the latest version of SafeStrap (3.73), you could try giving that one a shot. I followed the steps in this tutorial as specified. My phone is stuck in the Cyanogen boot up screen. It’s been like that for 20 min now. I didn’t have any other roms on my phone, this is the 1st time it had been rooted and loaded w/ a custom rom. It’s previous software was 4.1.2. I can reset it and get back to safestrap which allows me to go to the original rom but I want to load to the new rom. Am I being impatient or is there something I missed on my steps. 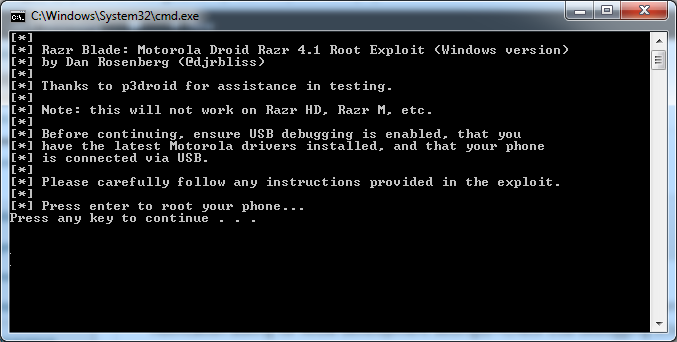 The only complicated part was downloading the razrblade but I got it and it’s rooted. Any help would be appreciated. 20 Minutes is definitely a little unusual. I would try grabbing another copy of Cyanogenmod to make sure your build wasn’t corrupt and give it another shot. You can also try a nightly build or stable build and compare the differences between the two to see what happens. I’m using 10.2.1 now and i’m getting the same situation. I left for lunch and it’s still in the loop. I’m pretty sure 10.2.1 is almost ready for stable. Any ideas. I have installed CM11-201401008-snapshot successfully but i am unable to send text messages, all though there is no issue with network as i am getting calls & text messages.All the other things working fine so far. Please can you guide what is the issue or how to resolve it.! I have installed CM12 and I want to confirm that if i want to install another CM, for this do i have to repeat all the steps from step1 to 44.? or start from step 25 but i want to do all steps again. is it safe? You are correct, just start from step 25. Then select Rom Slot 2 instead of 1.